President Donald Trump reached out to India in his Afghan and South Asia policy speech last week seeking an enhanced role for New Delhi, especially in the economic field, to bring peace and stability in war-torn Afghanistan. Washington: Asserting that nobody has talked about asking India to send troops to Afghanistan, a senior Trump administration official has said New Delhi's role in the war-torn country is focused around economic and democratic development and not on security issues. The official clarified that there is no specific request or 'to do' list from the United Stated to India, but the US president expects that India would continue with its good economic developmental work in Afghanistan. "I don't think the president has articulated any specifics (about India's role in Afghanistan). But, the inter-agency (team in the US) has discussed this issue as part of the overall deliberations, and is focusing on what can be done in terms of the economic development issues, and support democratic development," the official told news agency PTI on condition of anonymity. "But, (India's role is) not focusing on security issues. Nobody's talking about asking India to put troops on the ground in Afghanistan. No, that has not been part of the discussions," the official said, giving an insight into the deliberations that has gone within the Trump administration as it formulated the Afghan policy over the past several months. The official said the discussions have focused around India's role in helping with economic development with basic support to the regional processes that are aimed at ensuring regional partners have a constructive role. "Here, I'm talking about the six plus one, which India will be very much a part of," the official added. "We just look forward to India continuing to play the kind of positive role it's been playing over the last several years, and maybe even enhancing that even more, in terms of supporting the peace process in the country, and being involved in those regional initiatives," the official added. 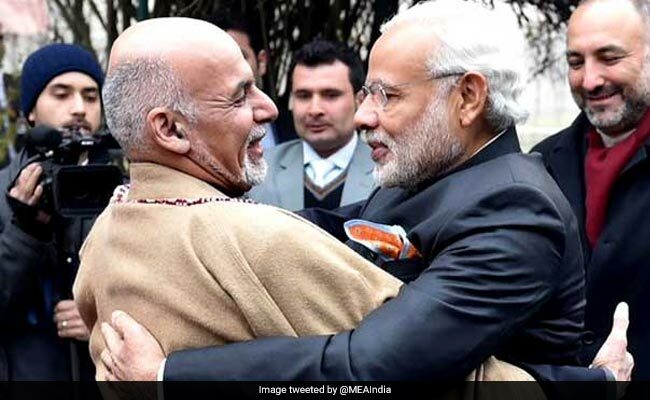 Noting that India was very much involved in the Kabul process, and has always been part of the regional solution and building up regional consensus for a stable, peaceful Afghanistan, the official said, "We look forward to India continuing to play that role." Responding to a question, the official said that the US recognises that India has already pledged $3 billion to Afghanistan, which is a large sum. "India's development work, whether it be building a dam, or some of the energy projects, the Parliament Building, India has been deeply engaged in the economic development of Afghanistan. We would encourage that to continue," the official said. "I don't think anybody has mentioned any specific dollar figure," the official said when asked if the president has a dollar figure in mind when he sought an enhanced Indian role in Afghanistan. "The president was clear that he sees India as a country that can help in stabilising and securing Afghanistan, and that he's looking forward to working with India on these issues, in terms of the economic development in Afghanistan and strengthening the democratic institutions. India has a great role to play here, being the world's largest democracy, and being so close in the region to Afghanistan," the official said. "So, there's no particular dollar amount that the president is thinking about. He's just thinking about how much India has to offer, and how much is at stake for India in Afghanistan. Sort of putting those two facts together and then expressing his expectation that India would be playing a helpful role in Afghanistan," said the official.